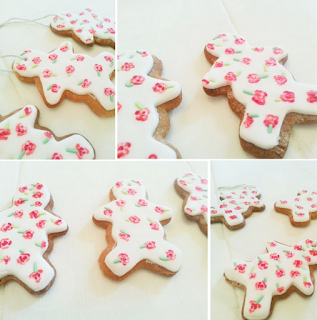 Just LOOK at these cutest ever gingerbread cookies! You can find the tutorial at Twigg Studios . How sweet would they be for a little girly party, tea party or wedding or baby shower? So simple with a food paint pen and green sprinkles. If you don't like to bake, buy undecorated cookies!